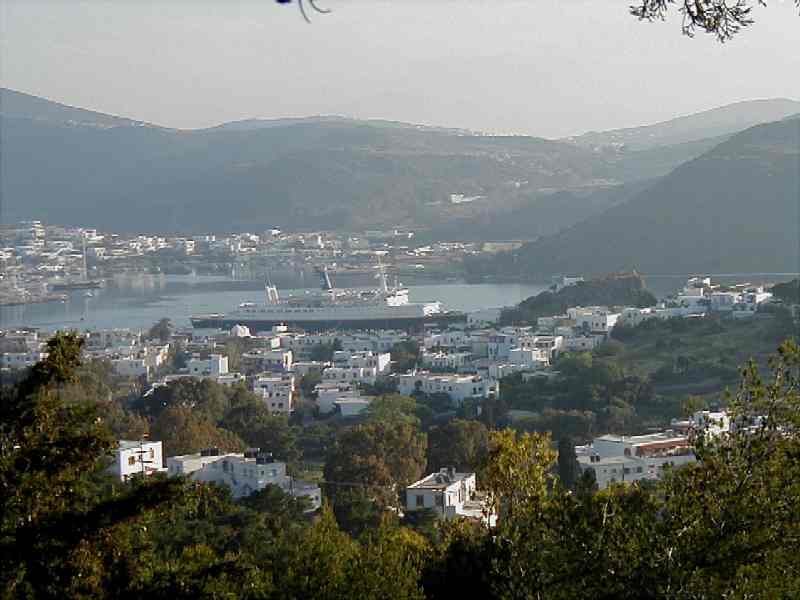 Left photo is our cruise ship, the World Renaissance in Scala harbor, Patmos, Greece, 30 April. 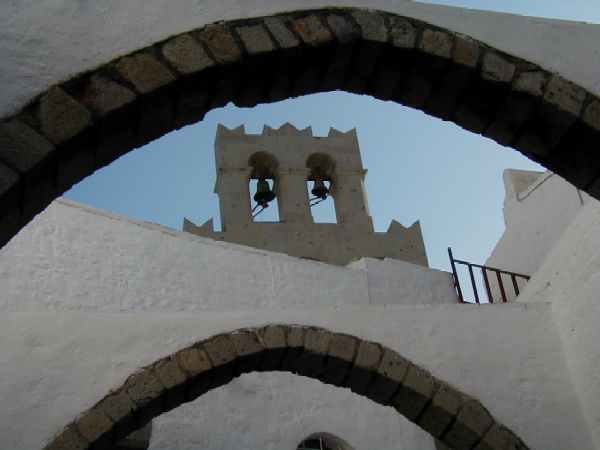 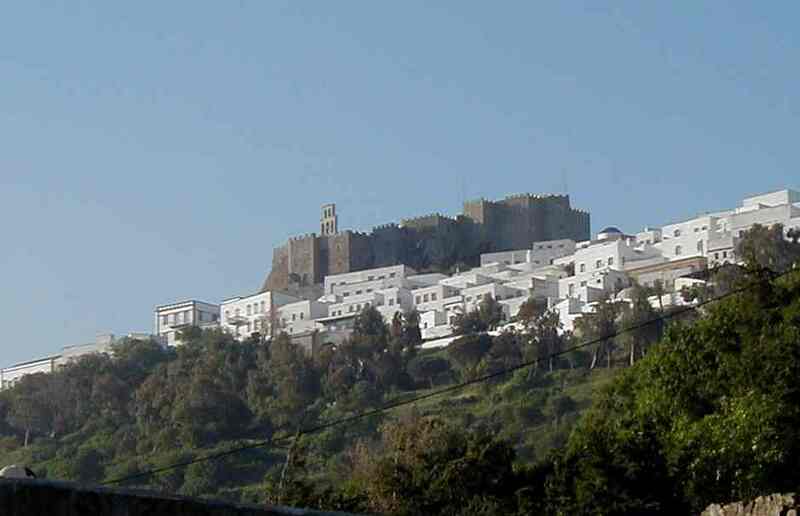 The right photo is the Monastery of St. John on Patmos. 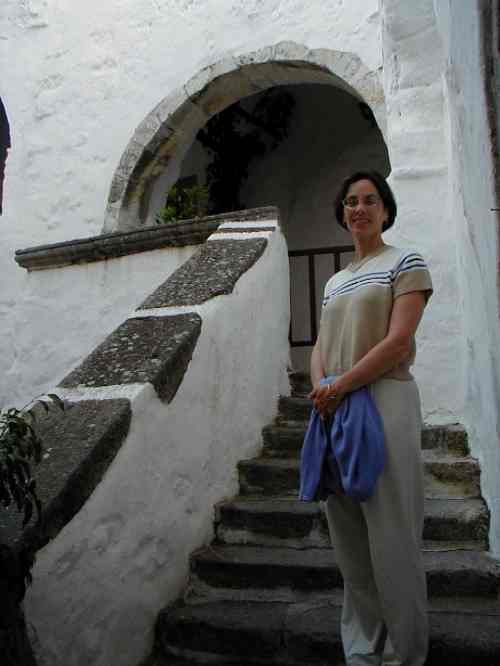 Left photo is Terrie in the Monastery of St John, Patmos. 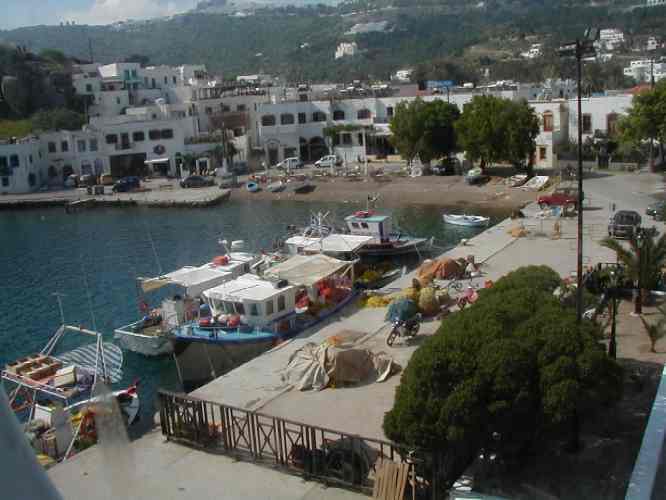 Right photo is a portion of Scala harbor on Patmos. 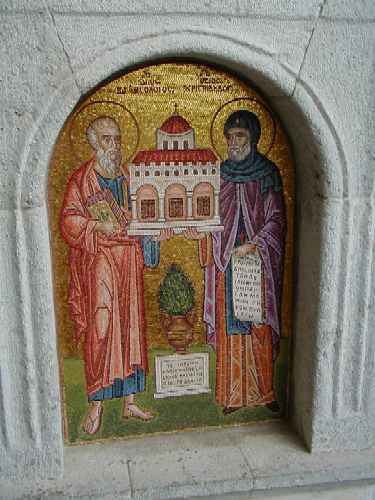 Click on the below icons to access more pages.